Our finance team is dedicated to making your vehicle purchase effortless and enjoyable. We take the time to explain all of your options, working together with you and your budget to create a vehicle package that is right for you. We are here to assist you with your purchase, offering peace of mind for years to come. 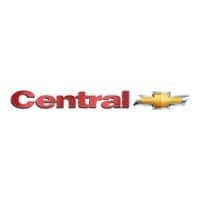 Central Chevrolet does not sell customer information or provide such information to other organizations for marketing purposes. Central Chevrolet limits the collection and use of customer information to that needed to complete Finance, Insurance, or Leasing transactions and other services authorized by you.